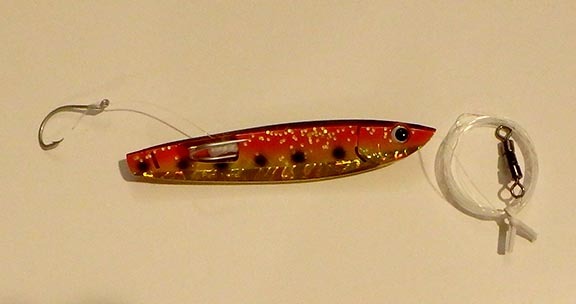 King Kandy is a fishing lure designed for salmon fishing by Dave Sanford of Sequim, WA after years of testing and research. 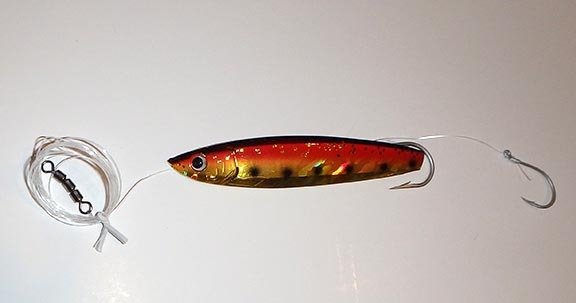 The spinning action resembles the frantic motion of wounded baitfish. 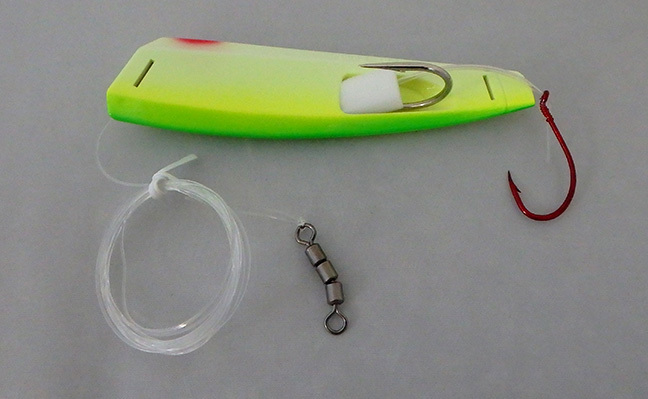 This product catches fish when trolled with or without a flasher. King Kandy comes in 4 styles and 14 colors. What Kind of Hooks Does King Kandy Have? The hooks are all VMC. 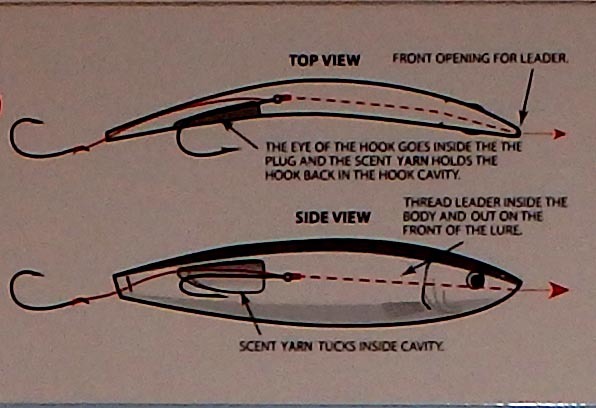 The whole herring has a 6/0 9170 NI Siwash internal hook and a 3/0 9299TR trailing hook. The cut plug has the same except the internal hook is 5/0. 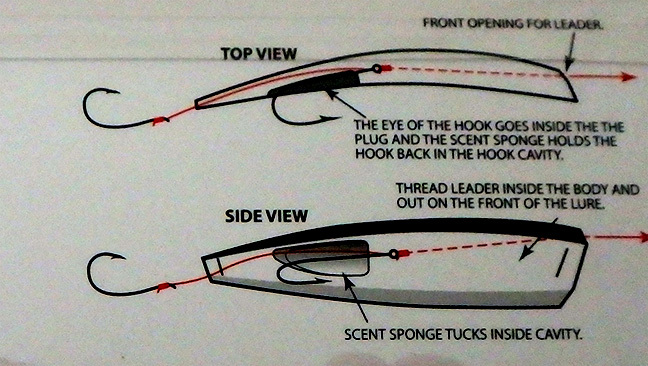 The candlefish has just one hook, also the VMC 9299TR. If ever in need of replacement hooks an Owner 4/0 Mosquito hook would also work in the candlefish. 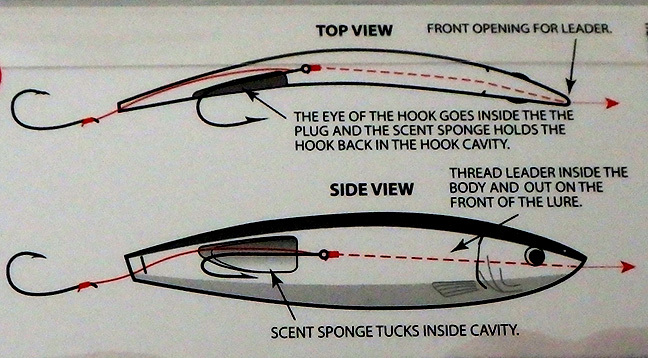 The package directions say that the lure works best when all air is expelled from the cavity. 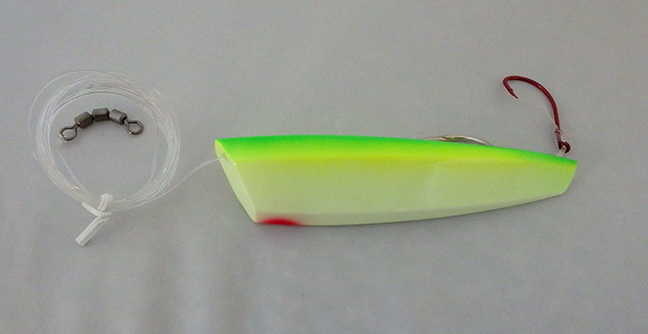 This usually happens naturally as water fills in the space once the lure is submerged, but if not and air gets trapped inside the plug it has poor action. If you need to expel the air from your King Kandy give them slack line for a couple seconds and go nose down with the downrigger ball or jerk the line and the air goes out. They fill with water and the action is good. 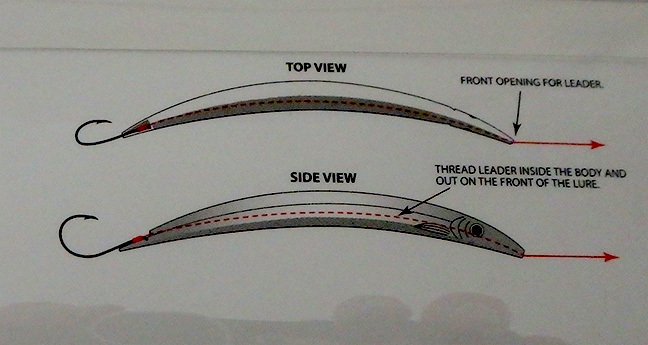 That is most noticeable on the Whole Herring model. 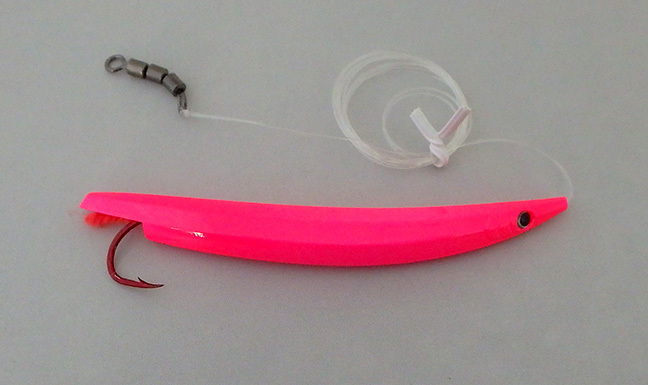 King Kandy cut plugs come rigged with internal hook, trailing hook, 40 pound test leader, and swivel. The internal cavity also contains a sponge to hold your favorite scent. 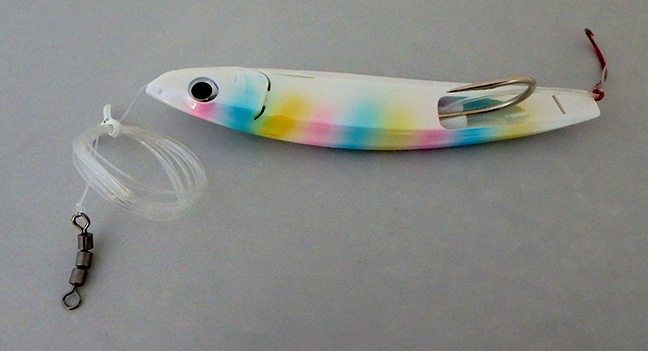 Cut plug herring lures are 4 1/3 inches long. Cut plugs work fine when trolled at any speed. King Kandy mini whole herring are 4 inches long. They come rigged with 30/0 suffix line, internal 3/0 VMC 9170 Perma Steel siwash hook and trailing 1/0 VMC 9299 Perma Steel octopus hook. 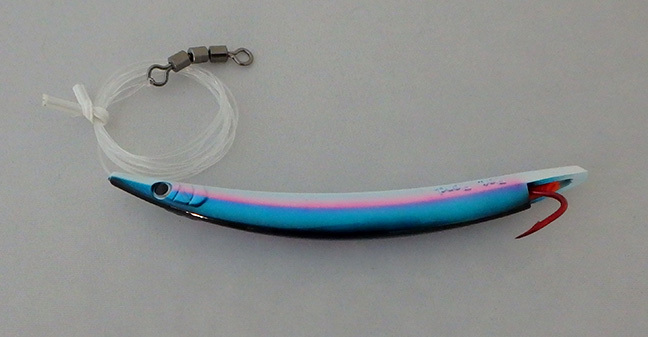 King Kandy lures come in 14 colors, though some colors are not available in every style. 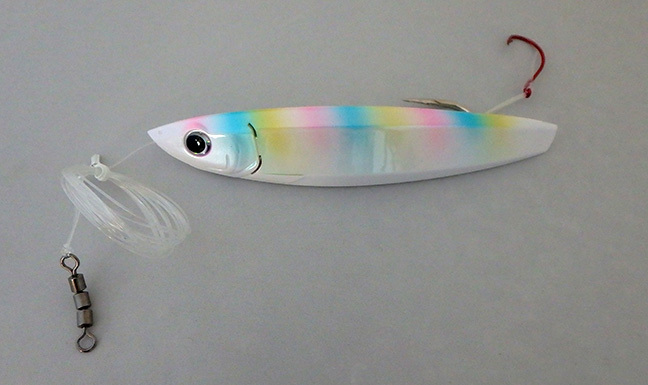 Many of the lures have light-catching holographic foils including all of the chrome colors as well as watermelon and sardine. Chartreuse, hot pink, and hot pepper have UV. All orders ship by US mail. Shop with confidence in our secure check-out system. Customers outside the USA may be asked to send additional money for shipping.